A new production of Joe Penhall’s critically-acclaimed play, Blue/Orange opens at Birmingham Repertory Theatre on 1 February (press night 5 February). 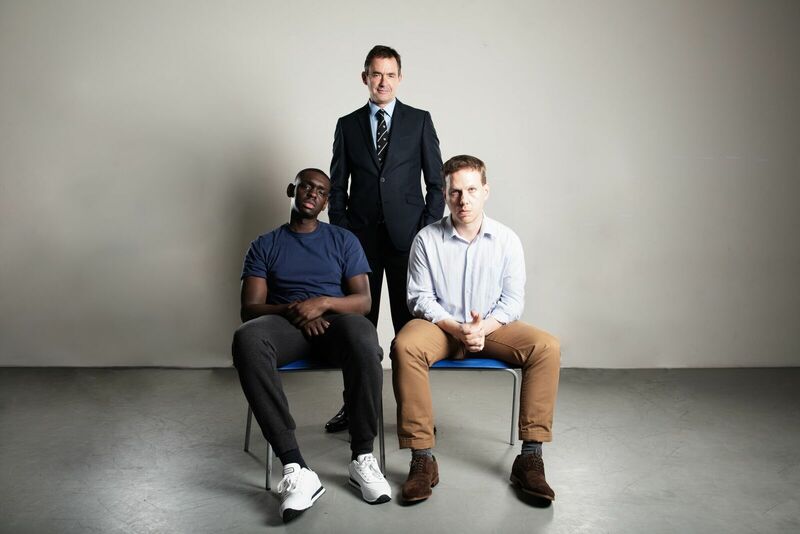 Directed by Daniel Bailey, the cast will feature Richard Lintern, Thomas Coombes and Ivan Oyik. Blue / Orange is a vital and darkly funny dissection of institutional racism and mental health in modern Britain. It tells the story of Christopher who is sectioned and admitted to a psychiatric hospital. As his doctor and senior consultant debate the cause of his psychosis, he makes the startling revelation that he’s the son of Ugandan dictator, Idi Amin. Joe Penhall’s play premiered at the National Theatre in 2000, transferred to the West End and won the Olivier Award, a Critic’s Circle Award and the Evening Standard Award for Best play. Richard Lintern, plays Robert, a senior consultant. Richard’s previous credits include playing Dr Thomas Chamberlain in the longest running British television crime drama, Silent Witness. He also played Stephen Ward in The Crown. His theatre credits include Women Beware Women (National Theatre), Jumpy (Royal Court) and Dial M For Murder (West Yorkshire Playhouse). Thomas Coombes returns to The REP to play junior consultant, Bruce. He last appeared at The REP in King Lear in 2016. Other credits include Save Me (Sky Atlantic), The Father (Trafalgar Studios), The Merchant of Venice (The Globe) and Finding Alice (Lyric Hammersmith). Screen credits include Silent Witness, The Scandalous Lady W and Wallander. Making his professional stage debut is Ivan Oyik, a recent graduate of Guildford School of Acting, who completes the cast as Christopher. Director Daniel Bailey, a previous winner of the Regional Theatre Young Director’s Scheme and a former director in residence at the National Theatre Studio directs his first main house production for The REP. His previous credits at The REP include Concubine, Stuff, Abuelo and Jump! We’ll Catch You. In addition to Blue/Orange, Joe Penhall is also well known for the award-winning musical Sunny Afternoon and for creating the Netflix original series Mindhunter. Other work includes Mood Music (Old Vic) and the screen adaptations of Enduring Love and The Road. Blue/Orange is designed by Amelia Jane Hankin with lighting design by Azusa Ono, sound design by Clive Meldrum and movement by Lanre Malaolu.